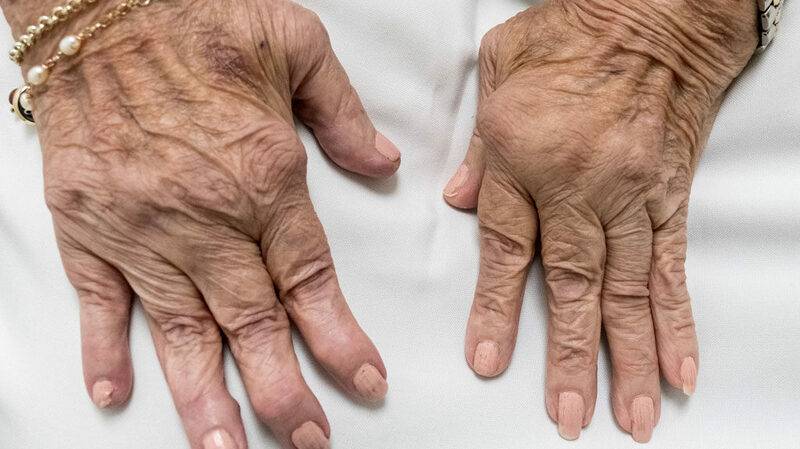 Rheumatoid Arthritis is a disease that can be described as the bodies immune system is fighting against some of the cells in your body and causing damage. In the case of Rheumatoid arthritis this results in damage to the cartilage on the ends of the bones in the joints. This is different that the more common osteoarthritis which is due to wear and tear over time. Rheumatoid arthritis is traditionally treated by either an experienced internal medicine or family practice physician or by a rheumatologist. In most cases the disease is controlled by using one or more medications and most of the time the medications can do an adequate job of controlling the disease. Typically rheumatoid arthritis is diagnosed with blood tests but can be implied on x-rays if there is uniform damage to the joint, unlike osteoarthritis which typically wears more so in the weight bearing portions of the joint. As the medications for rheumatoid arthritis have improved the need for joint replacements in these patients has lessened over time. However, if the medications are not working adequately, or the disease continues to progress, or the pain is to the point where it is not bearable, total joint replacement may be required. Dr. Zavoyski is a board certified fellowship trained subspecialist in hip and knee replacement procedures and will in most cases be able to adequately treat the disease if it has become too advanced for medical treatment alone. Dr. Zavoyski can continue with routine conservative care as well as perform total hip or knee replacement if needed. Patients with rheumatoid arthritis do have higher risk factors with total joint replacements and should seek out the care of a fellowship trained adult reconstruction or total hip and knee specialist.